If I had to take another transaction in the UK to shareholders, I think they’d lynch me! Famous Brands on Monday reported a loss of R544 million for the six months to 31 August 2018. 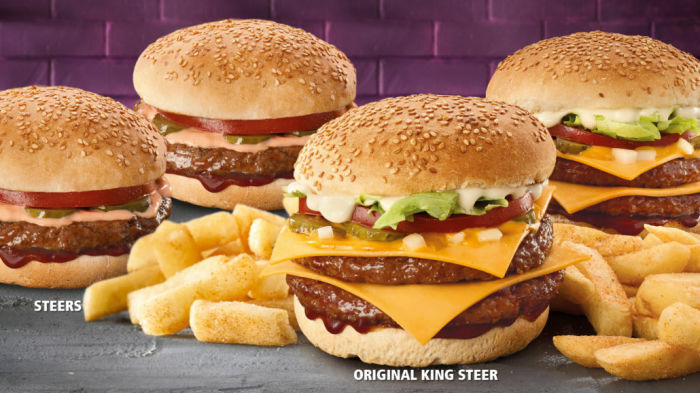 The food franchisor – Africa’s largest – was burned by an R874 million write-down of its United Kingdom chain Gourmet Burger Kitchen. Revenues increased by 5.4% to R3.6 billion. Famous Brands owns 25 restaurant brands - including Debonairs Pizza, Wimpy, Steers, Mugg & Bean, etc. - representing 2784 restaurants across the Continent, the Middle East and the UK. The Money Show’s Bruce Whitfield interviewed Darren Hele, CEO at Famous Brands. Someone tell Clicks (and its customers) we’re in a recession! Bruce Whitfield interviews David Kneale, CEO at Clicks. The Money Show’s Bruce Whitfield interviews Suvasha Kander, a Fund Manager at Ashburton. The Money Show’s Bruce Whitfield interviews Rui Morais, CFO at Dis-Chem Pharmacies. Recession? What recession? The Money Show’s Bruce Whitfield interviews Pick n Pay CEO, Richard Brasher. The Money Show’s Bruce Whitfield asks portfolio manager Ashraf Mohamed what he is buying right now.